Chapter 8 of the Ezra Taft Benson manual is based on a talk given to priesthood leaders about the importance of the word of God “as found in the scriptures, in the words of living prophets, and in personal revelation.” The Life section focuses on the setting of the talk that the lesson is based on. Section one focuses on troubles facing us in our day and that the Word of God is the way to deal with these challenges. Section two focuses on turning to the scriptures for meaningful study and making them a priority in our lives. Section three focuses on the power and blessings that come from studying the scriptures. Section four focuses on not treating the word of God lightly. Invite a Seminary teacher to show the class different methods of marking scriptures and building scripture chains. You could even teach them how to do a Scripture Chase competition like they do in Seminary. 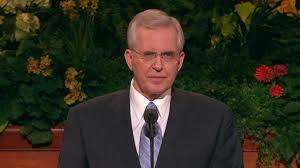 Boyd K. Packer: True doctrine, understood, changes attitudes and behavior. The study of the doctrines of the gospel will improve behavior quicker than a study of behavior will improve behavior. Dallin H Oaks: A childhood experience introduced me to the idea that some choices are good but others are better. I lived for two years on a farm. We rarely went to town. Our Christmas shopping was done in the Sears, Roebuck catalog. I spent hours poring over its pages. For the rural families of that day, catalog pages were like the shopping mall or the Internet of our time. As we consider various choices, we should remember that it is not enough that something is good. Other choices are better, and still others are best. 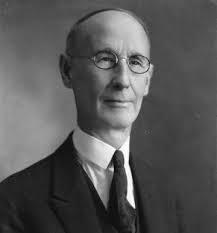 Even though a particular choice is more costly, its far greater value may make it the best choice of all. . . .
Julie B. Beck: If you have not already developed the habit of daily scripture study, start now and keep studying in order to be prepared for your responsibilities in this life and in the eternities. 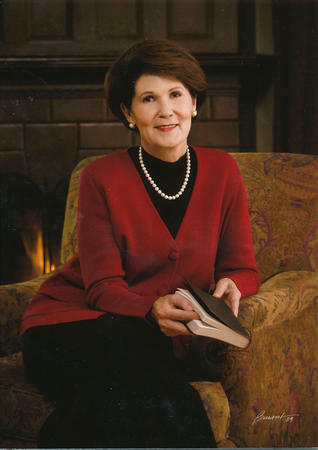 Patricia T. Holland: There have been challenges in my life that would have completely destroyed me had I not had the scriptures both on my bed stand and in my purse so that I could partake of them day and night at a moment’s notice. Meeting God in scripture has been like a divine intravenous feeding for me—a celestial IV that my son once described as an angelical cord. 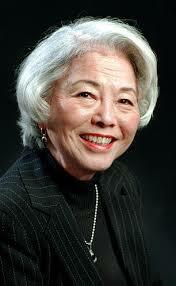 Chieko N. Okazaki: The manuals and the Ensign and other commentaries and sermons and essays are meaningful and perceptive; but if we read only them and don’t study the scriptures for ourselves, we still have only a secondhand relationship with the scriptures. Marion G. Romney: When I drink from a spring I like to get the water where it comes out of the ground, not down the stream after the cattle have waded in it. … I appreciate other people’s interpretation, but when it comes to the gospel we ought to be acquainted with what the Lord says. M. Russell Ballard: The Bible . . . is one of the pillars of our faith, a powerful witness of the Savior and of Christ’s ongoing influence in the lives of those who worship and follow Him. The more we read and study the Bible and its teachings, the more clearly we see the doctrinal underpinnings of the restored gospel of Jesus Christ. We tend to love the scriptures that we spend time with. We may need to balance our study in order to love and understand all scripture. Gordon B. Hinckley: I hope the reading of scriptures will become something far more enjoyable than a duty; that, rather, it will become a love affair with the word of God. I promise you that as you read, your minds will be enlightened and your spirits will be lifted. At first it may seem tedious, but that will change into a wondrous experience with thoughts and words of things divine. The intelligent but eccentric BYU professor Hugh Nibley once quipped that, “If you pray for an angel to visit you, you know what he’ll do if he comes. He’ll just quote the scriptures to you—so you’re wasting your time waiting for what we already have.” While it’s a humorous way of looking at things, it is somewhat true. What I have also found interesting is that Christ himself quotes scripture when he teaches. We see it during his life—as represented in the Gospels, he quotes Isaiah, Psalms, and references stories in the Pentateuch and the histories in the Hebrew Bible. We see it again when he visited the Nephites—he quotes entire chapters of Malachi and Isaiah. Again, when he visited Joseph Smith in the First Vision, he referenced Isaiah once again. Granted, He expounded and expanded upon what was in the scriptures, but it is interesting that the Lord of All Creation quotes the scriptures rather than teaching on His own authority alone. To me, this builds up the importance of being familiar with all the scriptures. 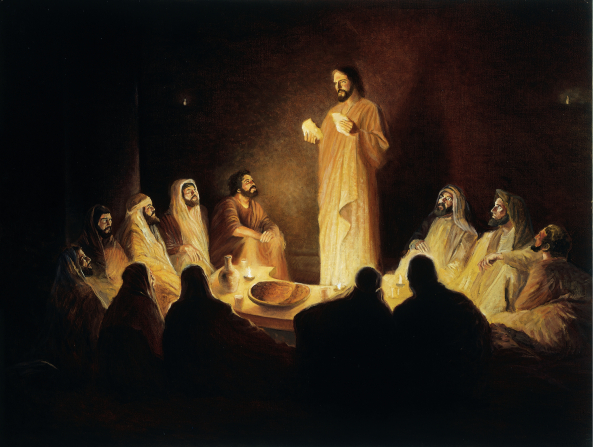 Friberg’s Light of Christ painting. One of the faucets of the word of God that President Benson spoke about was the words of living prophets, and we had the opportunity to listen to those recently at general conference. As with last year, the main topic of discussion about general conference hasn’t been the words of Church leaders, but the dissenters who expressed themselves at the conference. As, I’m sure most of my readers are well aware, at least seven (some accounts say nine) people expressed themselves as “opposed” during the sustaining of Church officers. 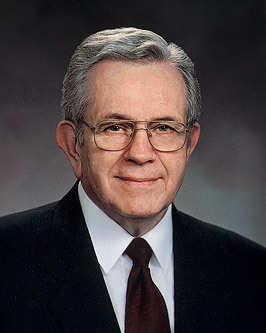 These individuals, who have declared that they are opposed for a variety of reasons—including institutional honesty about Church history, Church stance of women’s roles and LGTB families, spending of Church money on projects like City Creek Mall, and so forth—stood and shouted “opposed” when President Uchtdorf asked for contrary votes to sustaining the First Presidency and the Quorum of the Twelve Apostles. To many Latter-day Saints attending the conference in person or abroad, these dissenting votes were jarring. 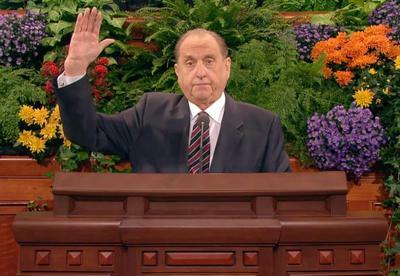 There were some occurrences during the 1970s and 1980s due to the restrictions placed on members of black African descent and the Church’s opposition to the Equal Rights Amendment, but there haven’t been many, if any, occurrences of opposing votes in General Conference for a couple decades (click here for some more history on the issue). In response, the internet has been flooded with memes and blog posts discussing the event, mostly in negative tones. Those who were opposed have been called “hecklers,” and a number of individuals have expressed themselves as shocked or disappointed by their actions, ruminated on their likeliness to go to hell (I don’t know if that’s online, but I’ve heard plenty of that in my community in some form or another). Other memes have simply offered support for President Monson and other Church leaders, affirming member’s commitments to their leadership. I want to make it clear that I support and sustain our Church leadership, but I also want to give some perspective on what happened during the sustaining of Church officers and how we could best respond. I also would like to discuss the principle of common consent—why we do it and what it means. My hope is that it will be informative and allow better discussion of the issues at hand. On the one hand, how can the church create and maintain a supportive environment in which individual members can struggle with serious doubts without jeopardizing the love and regard of fellow members, and even jeopardizing their church membership? On the other hand, how can the church maintain boundaries around certain fundamental truth claims that define the very identity of the LDS religion? How much flexibility in understanding and interpreting church doctrine and practices can members claim and still feel that they belong? This is a very difficult subject to approach, and is becoming more and more visible. Despite Elder Cook’s assurance that “the Church of Jesus Christ of Latter-day Saints has never been stronger,” dissenting members are better organized and better able to give voice to their feelings than ever before, thanks to the internet. 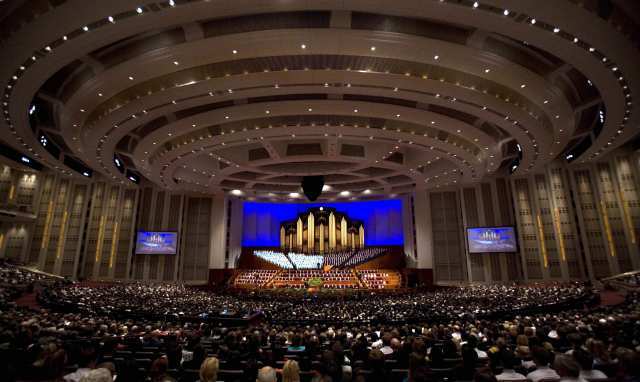 The dissenting vote is likely to become a regular part of General Conference, as demonstrated by online shows of support and commitments to dissent at the October conference this year. 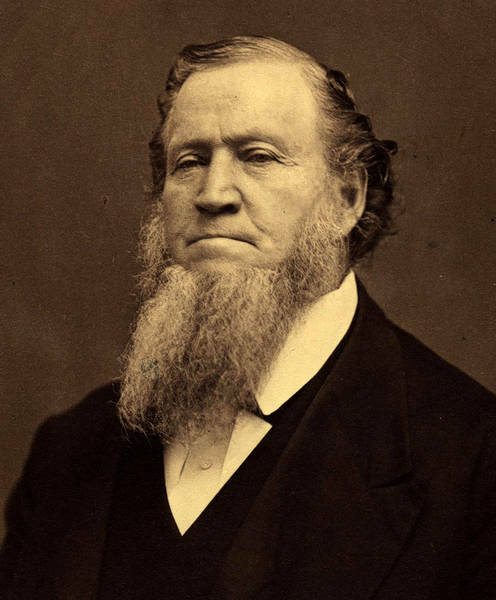 Some may say, “Brethren, you who lead the Church, we have all confidence in you, we are not in the least afraid but what everything will go right under your superintendence; all the business matters will be transacted right; and if brother Brigham is satisfied with it, I am.” I do not wish any Latter−day Saint in this world, nor in heaven, to be satisfied with anything I do, unless the Spirit of the Lord Jesus Christ, the spirit of revelation, makes them satisfied. I wish them to know for themselves and understand for themselves, for this would strengthen the faith that is within them. Suppose that the people were heedless, that they manifested no concern with regard to the things of the kingdom of God, but threw the whole burden upon the leaders of the people, saying, “If the brethren who take charge of matters are satisfied, we are,” this is not pleasing in the sight of the Lord. Every man and woman in this kingdom ought to be satisfied with what we do, but they never should be satisfied without asking the Father, in the name of Jesus Christ, whether what we do is right. When you are inspired by the Holy Ghost you can understandingly say, that you are satisfied. 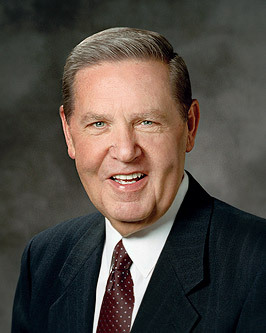 If the time should ever come that The Church should be so unfortunate as to be presided over by a man who transgressed the laws of God and became unrighteous (and by such a thing could be, and that the President of the Church is not regarded as impeccable, is quite evident from the fact that provisions are made for his trial and condemnation), a means of deposing him, without destroying The Church, without revolution, or even disorder, is provided in The Church system of government. What I’m trying to say with all of this, is that the expression of opposed votes is an acceptable expression of belief within Mormonism and that General Conference is the appropriate time to express that vote. If it was not, they wouldn’t ask for any opposed to raise their hands. The manner in which it was expressed—individuals standing and stating “opposed” (not “no!” as has been often recounted so far) was probably the most polite way they could proceed while still being noticed in the large auditorium. Many in this world are afraid and angry with one another. While we understand these feelings, we need to be civil in our discourse and respectful in our interactions. This is especially true when we disagree…. Yet there are some who feel that venting their personal anger or deeply held opinions is more important than conducting themselves as Jesus Christ lived and taught. I invite each one of us individually to recognize that how we disagree is a real measure of who we are and whether we truly follow the Savior. It is appropriate to disagree, but it is not appropriate to be disagreeable. Violence and vandalism are not the answer to our disagreements. If we show love and respect even in adverse circumstances, we become more like Christ. To which answer was made, in substance, that if the people rejected it, it would go for nothing for them—that is, so far as the people were concerned. The senator then exclaimed: “A sort of veto power over the Lord!” and then there was laughter. That is one of the catchy phrases which some of the youth of Zion are permitting themselves to be pleased with. A veto power on God! After revealing himself to Joseph Smith, the Lord finally told him, with reference to the organization of the Church, that he must call together the baptized members and submit to them the question whether or not they were willing that he and Oliver Cowdery should proceed to organize the Church of Christ, and whether the people were willing to accept them as their spiritual leaders and teachers. We may well marvel at such condescension of God; and yet when we come to analyze this, we learn that in this God only recognizes a great truth, and the dignity of his children, and acknowledges their rights and liberties. When he selected his prophet, to whom he first revealed himself, he chose whom he would and gave him the power of the apostleship; but when he was to effect an organization and exercise that authority upon others, then it must be with the consent of the others concerned, not otherwise. This is the principle of common consent, which the Lord respected at the organization of his Church, and which he still recognizes in its government. … When the Church votes upon the acceptance of any revelation, whether on doctrine or the appointment of officers, it acts for itself alone, and neither concerns, for praise or censure, people outside of the Church. It is merely the exercise of a right conferred upon the Church in the very inception of its organization, which granted it the right to accept or reject any rule or law that was suggested for its government. This law of common consent is in strict harmony with God’s moral government of the world. Man is by nature a free moral agent, and that agency involves the liberty of violating the laws of God as well as the liberty of respecting them. If individuals reject the will of God, they will be rejected by him; and this applies also to the Church. What men may do in their individual capacity, the Church may do in its organized capacity with, of course, similar results to the institution; for if the time should come that the Church, in the exercise of those rights and that freedom which God in the beginning bestowed upon her, should persistently reject his word and his servants until she became corrupted, God would repudiate and disown her as his Church, just as he would reject and condemn a wicked man. But so far, the Church of Jesus Christ of Latter day Saints has received as divine law the revelations and doctrines proposed to her by the prophets of God. But suppose a law is promulgated before the Latter-day Saints, and the Church, in the exercise of the liberty which God has conferred upon them, reject it, the question is then asked, what remains? Thus, the principle of common consent is a recognition of our right to accept or reject any truth or principle or leader, whether individually or collectively. Those who have expressed themselves as opposed at General Conference are perfectly within their rights to do so, just as we are perfectly in our rights to sustain Church leaders. What is left is to carry ourselves in the most Christ-like manner possible. Boice, Trina (2014-11-09). The Ready Resource for Relief Society Teachings of the Presidents of the Church: Ezra Taft Benson (Kindle Locations 900-902). Cedar Fort, Inc.. Kindle Edition. 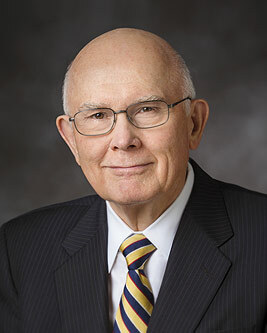 Dallin H. Oaks, “Good, Better, Best,” CR, October 2007, https://www.lds.org/general-conference/2007/10/good-better-best?lang=eng. 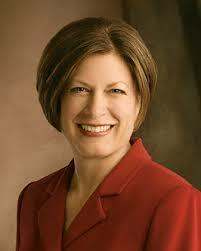 Julie B. Beck, “My Soul Delighteth in the Scriptures,” Ensign, May 2004, 107– 9. Marion G. Romney, address to religious educators, 13 Apr. 1973. 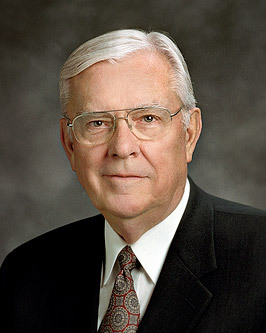 M. Russell Ballard, “The Miracle of the Holy Bible,” CR, April 2007, https://www.lds.org/general-conference/2007/04/the-miracle-of-the-holy-bible?lang=eng. 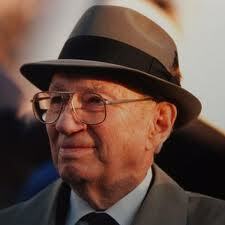 Gordon B. Hinckley: “The Light within You,” Ensign, May 1995, 99. Hugh Nibley, The Essential Nibley, ed. Marvin R. VanDam (Salt Lake City: Deseret Book, 2014), 294. Quentin L. Cook, “The Lord is My Light,” CR, April 2015. B. H. Roberts, The Gospel: An Exposition of its first principles; and Man’s Relationship to Deity, 3rd ed. (Salt Lake City: Desert News, 1901), 225. 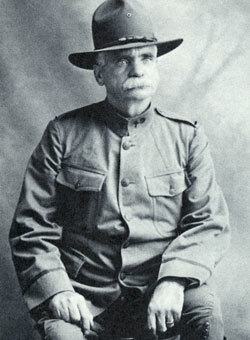 B. H. Roberts, “Relation of Inspiration and Revelation to Church Government,” Improvement Era, March 1905, 359. Chapter 7 of the Ezra Taft Benson manual focuses on Joseph Smith, as the title suggests. The Life section focuses on how Elder Benson faced opposition to the Church while he served a mission in his youth to England, but had a wonderful experience in preaching about Joseph Smith and that he continued to testify of Joseph Smith throughout his life. Section one focuses on the experience and significance of the First Vision. Section two focuses on dealing with objections to supernatural aspects of the Restoration—the visitations of angels in the coming forth of the Book of Mormon and at other times to Joseph Smith. Section Three focuses on the importance of the Book of Mormon and an invitation to test the validity of the origin of the Book of Mormon. Section Four focuses on the restoration in a broad sweep covering the basic ideas of the Apostasy, First Vision, restoration of the priesthood, establishment of the Church, and the establishment of a new dispensation. Section Five deals with the persecution and faithfulness of Joseph Smith to his death. Section Six focuses on Joseph Smith’s role as the Prophet—his foreordination, his role in the work of Salvation, and the head of this dispensation. Tell the class you’re going to show pictures of different kinds of cars and that they’re supposed to raise their hands when they see a car that represents the kind of person they are (sports car, truck, minivan, racecar, luxury sedan, taxi). Explain that all cars get old and eventually break down. Age, accidents, and everyday use will wear a car out. Sooner or later all cars are destined for the junkyard unless someone restores them. In some ways, our lives are like the cars. Just as all cars break down, all people share a common problem that causes us to wear out and eventually die. Just as a car can’t fix its own dent or flat tires, we can’t fix the problem of death. The Savior keeps our cars running in good condition. He sends auto mechanics (prophets) who know how to restore cars to their best state when they get old and rusty. Joseph restored the Church after the Great Apostasy. Invite someone to play a hymn or song on the piano, but tape down most of the piano keys. After the death of the early Apostles, the authority was lost and the fulness of the gospel was not on earth. Explain that there are many wonderful churches on earth today that have some of the piano keys to enjoy, but the Church of Jesus Christ allows us to enjoy the whole song as it was intended and the fulness of the gospel. Joseph Smith was an instrument in the Lord’s hands. It is a constantly recurring mystery to me how some people speak with admiration for the Church and its work, while at the same time disdaining him through whom, as a servant of the Lord, came the framework of all that the Church is, of all that it teaches, and of all that it stands for. They would pluck the fruit from the tree while cutting off the root from which it grows. George Albert Smith: Many of the benefits and blessings that have come to me have come through [Joseph Smith,] that man who gave his life for the gospel of Jesus Christ. There have been some who have belittled him, but I would like to say that those who have done so will be forgotten and their remains will go back to mother earth, if they have not already gone, and the odor of their infamy will never die, while the glory and honor and majesty and courage and fidelity manifested by the Prophet Joseph Smith will attach to his name forever. Neal A. Maxwell: What came through Joseph Smith was beyond Joseph Smith, and it stretched him! In fact, the doctrines that came through that “choice seer” (2 Nephi 3:6-7) by translation or revelation are often so light intensive that, like radioactive materials, they must be handled with great care! The Everest of ecclesiastical truth built from the translations and revelations of the Prophet Joseph Smith speaks for itself as it towers above the foothills of philosophy. . . . Revelations came to us through an inspired prophet, Joseph Smith. His spelling left something to be desired, but how he provided us with the essential grammar of the gospel! 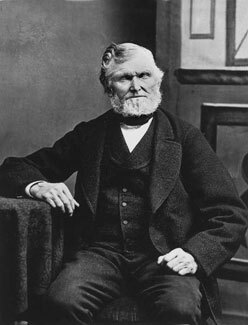 Wilford Woodruff: Those who have been acquainted with the Prophet Joseph, who laid the foundation of this church and kingdom, who was an instrument in the hand of God in bringing to light the gospel in this last dispensation, know well that every feeling of his soul, every sentiment of his mind, and every act of his life, proved that he was determined to maintain the principle of truth, even to the sacrificing of his life. His soul swelled wide as eternity for the welfare of the human family. B. H. Roberts: One thing connected with the character of Joseph Smith, and one that distinguishes him from false prophets and mere enthusiasts is the unaffectedness of his conduct. It was the prevailing idea of his day and even now that the calling of a prophet is inseparably connected with a life of austerity . . . as if communing with God was such awful business that it chills the heart and drives all happiness out of the life of man! Joseph Smith was nothing of all this. . . . He was the Prophet of a joyous countenance; of unconventional but upright deportment; the apostle of cleanliness and becoming apparel. He believed that serving God should make men happier and that the good things of the earth were made for the comfort and to increase the happiness of the righteous. The Prophet’s teaching . . . was unique in its way. He may scarcely be said to have made any attempt at creating a system of philosophy however much may be said for his system of religion and of ecclesiastical government. His philosophical principles were flung off in utterances without reference to any arrangement or orderly sequence; and in the main were taught in independent aphorisms, which is a remarkably effective way of teaching, for an aphorism resembles the proverb, and is a form in which Truth is bound to live. D. Todd Christofferson: We are blessed in our day to have a growing body of information about the Prophet Joseph Smith and his work, but most especially about his teachings. In the Church’s study series, “Teachings of the Presidents of the Church,” the volume published in 2007 featuring Joseph Smith’s teachings and writings is particularly valuable. I hope it is a reference you will always have close at hand in your gospel library. For some years now, the Church History Department has spearheaded a major undertaking to publish all the documents and other materials we can locate that were ever generated by or under the direction of the Prophet. It is known as the Joseph Smith Papers Project. It is anticipated that this project will produce about 24 printed volumes in six series such as Revelations and Translations, Journals, Histories, and so on. . . . Also, the Internet and electronic publishing have made it possible to access additional early, and even original source material bearing on Joseph Smith’s life and times. Our study of the Prophet’s life and ministry are more than an intellectual exercise to satisfy curiosity. Insofar as we can, we want to know what he knew; we want to understand what he understood; we want to draw near to God as he did, for as Nicodemus said of the Savior so we can say of Joseph, “Rabbi, we know that thou art a teacher come from God.” . . .
Be patient . . . while some answers come quickly or with little effort, others are simply not available for the moment because information or evidence is lacking. Don’t suppose, however, that a lack of evidence about something today means that evidence doesn’t exist or that it will not be forthcoming in the future. The absence of evidence is not proof. . . . Where answers are incomplete or lacking altogether, patient study and patient waiting for new information and discoveries to unfold will often be rewarded with understanding. President John Taylor made the superlative statement—now canonized in the Doctrine and Covenants—that “Joseph Smith, the Prophet and Seer of the Lord, has done more, save Jesus only, for the salvation of men in this world, than any other man that ever lived in it.” (D&C 135:3.) 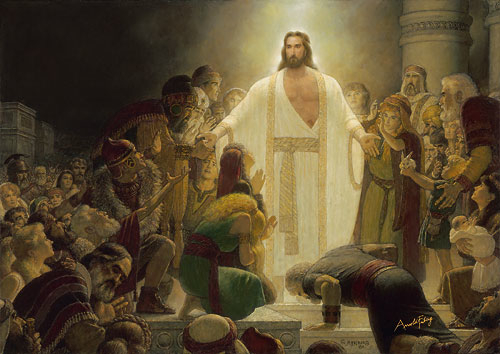 President Brigham Young stated “I feel like shouting, hallelujah, all the time, when I think that I ever knew Joseph Smith, the Prophet.” We sing the hymns of praise to the Prophet, such as “Praise to the Man Who Communed with Jehovah.” Statements like this cause many to worry that we worship Joseph Smith rather than Jesus Christ. Sometimes our actions do little to belay that concern—we talk often of Joseph Smith and the Restoration, and sometimes get carried away with celebrations of his life compared with our celebrations of Christ’s life. Consider, for example, the celebrations the Church put on for the 200th anniversary of Joseph Smith’s birth in 2005 versus the celebrations (or lack thereof) of the 2000th celebration of Christ’s birth in 2000 (or on any year for that matter) or the tendency to sing hymns about Joseph Smith and the prophets in our excitement about General Conference this last week rather than focusing on celebrating Holy Week leading up to Easter. Joseph Smith was fairly consistent in declaring his faults and imperfections. 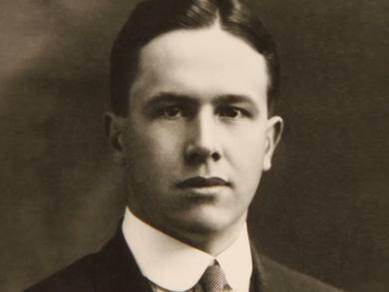 In his official history, he stated that during his teenage years: “I frequently fell into many foolish errors, and displayed the weakness of youth, and the foibles of human nature; which, I am sorry to say, led me into diverse temptations, offensive in the sight of God” (JS-H 1:28). In a letter to Emma in 1832, he wrote: “I have called to mind all the past moments of my life and am left to morn and shed tears of sorrow for my folly in suffering the adversary of my soul to have so much power over me as he had in times past but God is merciful and has f[o]rgiven my sins.” On an occasion later in life, he told a group of Saints that “I was but a man, and they must not expect me to be perfect.” He further stated, though: “the wrong that I do is through the frailty of human nature, like other men. No man lives without fault.” At times, he took a humorous route to emphasize his imperfection, declaring on one occasion that: “Suppose I would condescend. yes I will call it condescend, to be a great deal better than any of you. 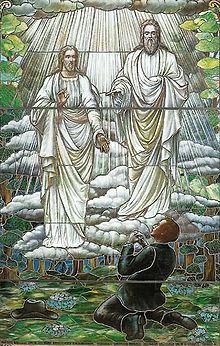 I would be raised up to the highest heaven, and who should I have to accompany me?” If we try to present Joseph Smith as a God-like, almost perfected being, we portray him in a way contrary to his own understanding of himself. He was indeed one of the “weak things of the world” that the Lord used in His work (D&C 1:19, 23; D&C 35:13; D&C 124:1). Great as we believe the Prophet Joseph Smith to have been, and he was great. 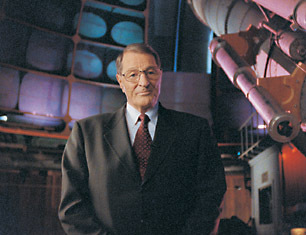 His spirit of quick intelligence was touched by the inspiration of God. The veil for him indeed was rent, and upon his vision burst the truths of eternity. He was commissioned to come with those truths to the children of men and expound them. It was given to him to see the truth as few souls have seen it in this world: and a divine authority and commission was granted unto him to give effect to those truths, not only by teaching them personally, but to bring into existence a great institution, the Church of Christ, to be the teaching agency of the gospel in the great and last dispensation of that gospel to the earth. All this we claim for him; but as between him and the Christ, as the mountains rise above the foothills so, too, does the Christ rise above him, and all men, all angels, all teachers, all prophets. To him [the Christ], and not to any man or set of men, do we pay divine honors. It is always important to consider the teachings of the prophets and apostles about Joseph Smith, but it is also important to learn what we can through scholarly means as well. While I don’t have room to give a detailed discussion of many the trends and thoughts in Mormon studies, I would like to highlight three major scholars—Jan Shipps, Terryl L. Givens, Philip Barlow—and their approaches to Joseph Smith’s ministry and Restoration. Articles by each of them related to the subjects are posted in the “Further Reading” section above while brief overviews of their thought are posted below. Another trend in Mormon studies has been to place Joseph Smith’s ministry and revelations in the context of his time and place. There have been further efforts to merge this eclectic appropriation of thought approach with the divine hand of God in the work of the Restoration. Two of Mormonism’s leading philosophical and theologically-minded scholars have provided models that are useful for understanding Joseph Smith’s work in this light. 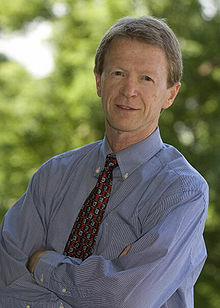 Terryl Givens has, perhaps, been most vocal in advocating his model of “inspired syncretism” using the Biblical imagery of the Woman in the Wilderness. 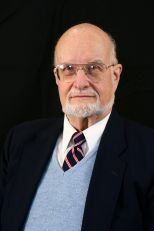 While he has mentioned his beliefs on a number of occasions, Dr. Givens has outlined them most thoroughly in three places: his essays “‘We have only the Old Thing’: Rethinking the Mormon Restoration” (which was published as the epilogue of the book Standing Apart: Mormon Historical Consciousness and the Concept of Apostasy) and “The Woman in the Wilderness: Mormonism, Catholicism, and Inspired Syncretism,” and then most thoroughly in a chapter of his book Wrestling the Angel: The Foundations of Mormon Thought: Cosmos, God, Humanity. relied upon a vision of apostasy as retreat and admixture, rather than absence. His task would involve not just innovation, or ex nihilo oracular pronouncements upon lost doctrines, but the salvaging, collecting, and assimilating of much that was mislaid, obscured, or neglected. Space does not permit of elaborating one crucial caveat to this position: Like Fraser, Smith believed that apostasy did involve corruption beyond remedy of certain ordinances and covenants; and only heavenly transmission of authority could recuperate those essentials. Those three components of the process of restoration provide a framework for understanding how Joseph Smith approached the Restoration. In keeping with the traditional Mormon approach to the Restoration, bringing back the lost covers the idea of bringing back that which once existed, historically, and was lost by accident or design over the course of time. The repair of the broken covers “not to that which has been lost and brought back but to that which is broken and begs restoration to its perfect state,” essentially those things that could be found in the Prophet’s environment that were assimilated into Mormonism. The completion of the partial has reference to “that which is neither lost nor broken, but absent—previously withheld and never before revealed. . . . This third aspect is made clear by the prophetic references to intelligence, knowledge, or ordinances kept hidden ‘from before the foundation of the world,’” such as parts of the Nauvoo temple rituals. Thus, the Prophet’s mode of operation according to this approach was to use things lost over time, broken or incomplete fragments from his environment, and aspects of the pure religion never before revealed on this earth to fashion something new in the form of Mormonism. These are three ways to understand the Restoration in new light and thought. Granted, some of them may be contrary to what has been understood in the past, even by prophets such as Ezra Taft Benson. I believe, however, that they still have great value and importance in understanding our history and theology as we gain access to more and more information in the 21st century. 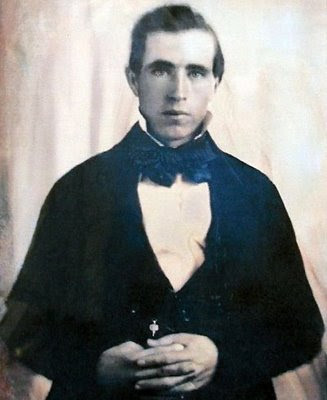 Possible photo of Joseph Smith. Boice, Trina (2014-11-09). The Ready Resource for Relief Society Teachings of the Presidents of the Church: Ezra Taft Benson (Kindle Locations 821-827). Cedar Fort, Inc.. Kindle Edition. Boice, Trina (2014-11-09). The Ready Resource for Relief Society Teachings of the Presidents of the Church: Ezra Taft Benson (Kindle Locations 827-830). Cedar Fort, Inc.. Kindle Edition. 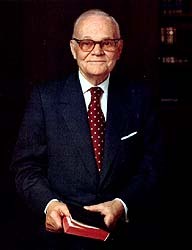 George Albert Smith, Teachings of the Presidents of the Church: George Albert Smith (Salt Lake City: Church of Jesus Christ of Latter-day Saints, 2011), 34. Neal A. Maxwell, The Neal A. Maxwell Quote Book, ed. Cory H. Maxwell (Salt Lake City: Bookcraft, 1997), 181. Wilford Woodruff, Discourses of Wilford Woodruff, ed. G. Homer Durham (Salt Lake City: Bookcraft, 1969), 36. B. H. Roberts, New Witnesses for God, 3 vol. (Salt Lake City: Deseret News, 1903-1908), 1:219-220. B. H. Roberts, Joseph Smith the Prophet Teacher: A Discourse by Elder B. H. Roberts (Salt Lake City: Desert Book, 1908), 62. Cited in Joseph Smith, Jr., Teachings of the Presidents of the Church: Joseph Smith (Salt Lake City: Church of Jesus Christ of Latter-day Saints, 2007), 495. Truman G. Madsen, Joseph Smith the Prophet (Salt Lake City: Bookcraft, 1989), 4. Joseph Smith, 21 May 1843 Discourse. Cited in Cook, Lyndon W. (2009-09-03). The Words of Joseph Smith (Kindle Locations 4018-4022). Deseret Book Company. Kindle Edition. Richard Lyman Bushman, Joseph Smith: Rough Stone Rolling (New York: __, 2005), 185. 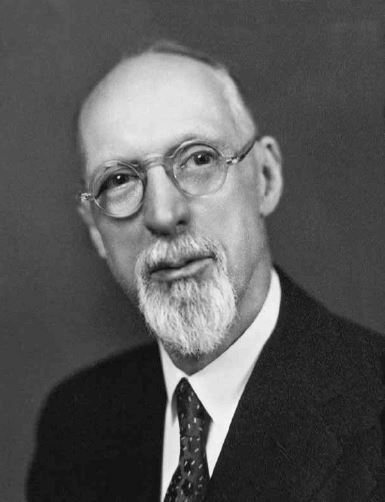 B. H. Roberts, Essential B. H. Roberts, ed. Brigham D. Madsen (Salt Lake City: Signature Books, 1999), 208. 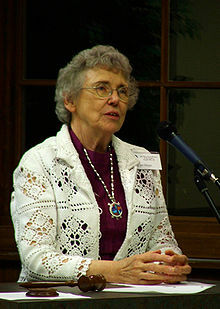 Jan Shipps, Mormonism: The Story of a New Religious Tradition (Urbana, IL and Chicago: University of Illinois Press, 1985): 54. 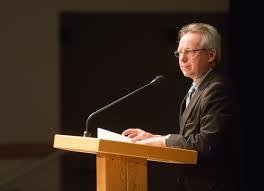 Jan Shipps, “Joseph Smith,” in Makers of Christian Theology in America, ed. James Duke and Mark Toulouse (Nashville, Tennessee: Abingdon Press, 1997), 210-215. Richard Lyman Bushman, Mormonism a Very Short Introduction (New York: Oxford University Press, 2008), 62-63. Philip L. Barlow, Mormons and the Bible: The Place of the Latter-day Saints in American Religion, updated edition (New York: Oxford University Press, 2013), xxxvi. Philip L. Barlow, “To Mend a Fractured Reality: Joseph Smith’s Project,” Journal of Mormon History, 38, no. 3, 34.